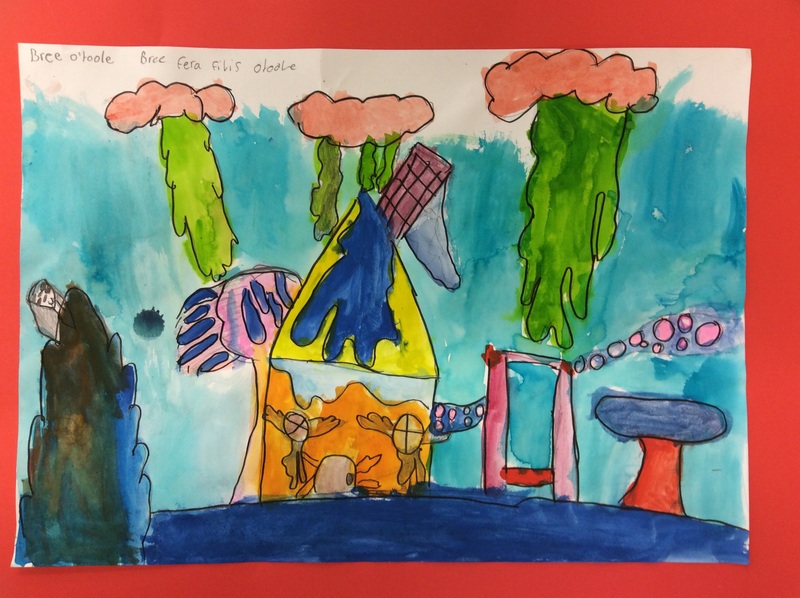 My Grade 3/4 and 5/6 classes both created ‘Alien landscapes’. 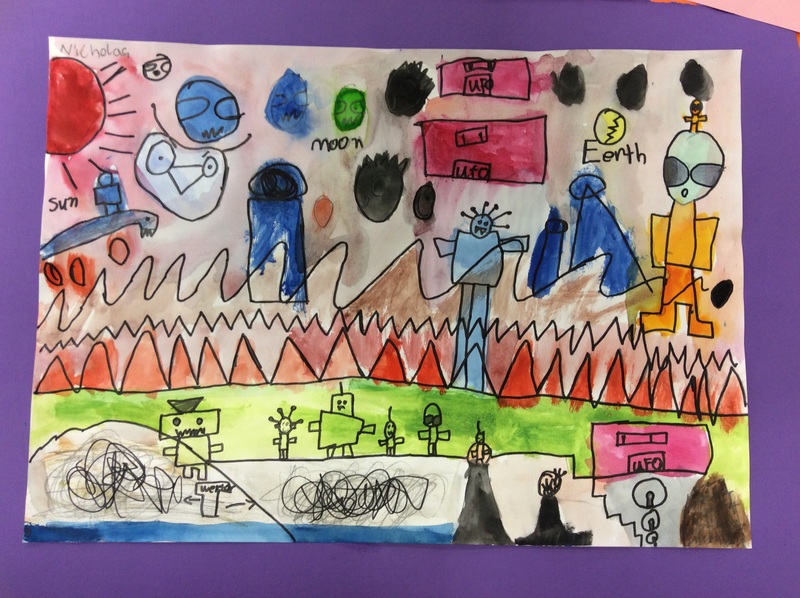 First, we brainstormed movies we had seen that included an alien landscape (for younger students we unpacked the idea of ‘alien’, that it can have some features of earth, but different). Students came up with movies such as Green Lantern, Star Wars, Avatar and Planet 51. 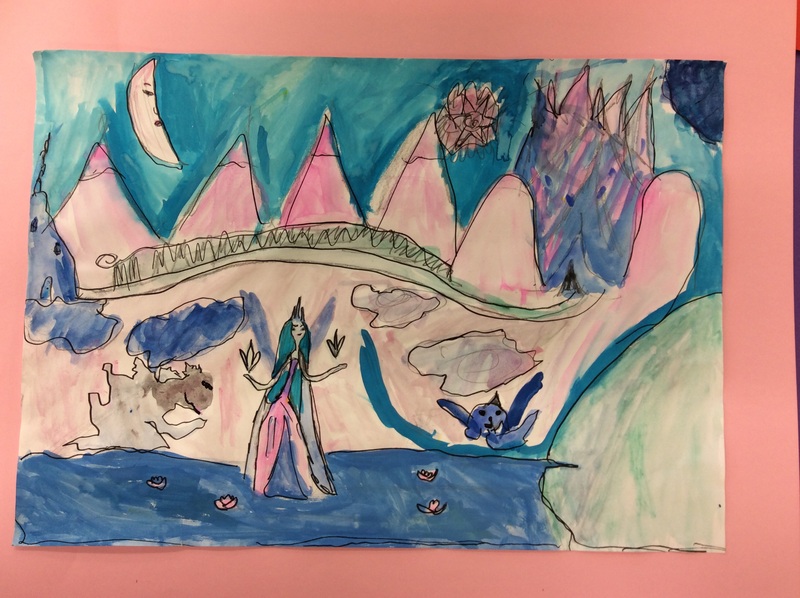 I wanted children to use a horizon line to map out where the sky and land meet, and encouraged them to think of the different landscape features on planet earth (such as cityscapes, deserts, rainforests), and how they could be altered. Students made preliminary thumbnail sketches, then lightly drew their designs using pencil. 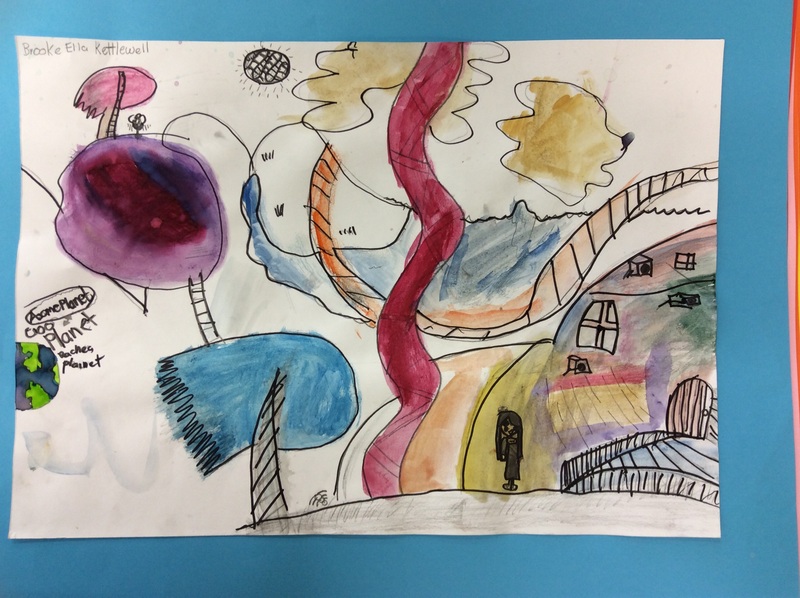 For their final piece, the older group used dry pastel and the younger ones used watercolour. This provided another teaching opportunity, in the characteristics and possibilities of the materials. Both provide good colour saturation with a fair amount of control. Most important, though, I think this project inspired their wonderful creativity and they really expressed their imaginations.